These are workshops in collaboration with Holy Family Ministry School and the School of the Art Institute of Chicago funded by Motorola. Our goal is to get youth thinking critically and creatively about safety in public space, and how to use the Internet of Things to connect people and places. 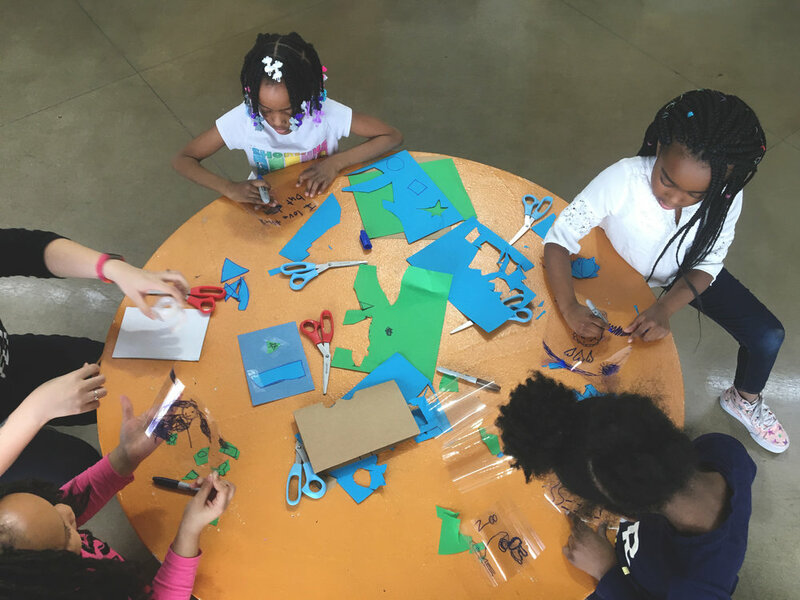 We visited the Chicago Youth Centers in North Lawndale to teach the basics of coding, circuitry and science through art and hands-on making. These workshops were held weekly for the duration of the fall 2017 semester, and concluded with a trip to SAIC's Art and Technology labs where students were able to laser cut their own designs. During this trip, students were able to see how this convergence of art, design and technology shaped Chicagoland with a trip to the Past Forward exhibition at the Art Institute of Chicago. Students were encouraged to make sculptures that involved light for the Gary Lights Open Works launch at Borman Pavilion in Gary, Indiana, to activate public space. These workshops were taught in collaboration with undergraduate and graduate students from the School of the Art Institute of Chicago, and the Heat Light Water Project. Using art and hands-on making, we can create more accessibility in understanding STEM concepts like circuitry and code.